This is one of those places where I have yet to come away with the image I have envisioned. 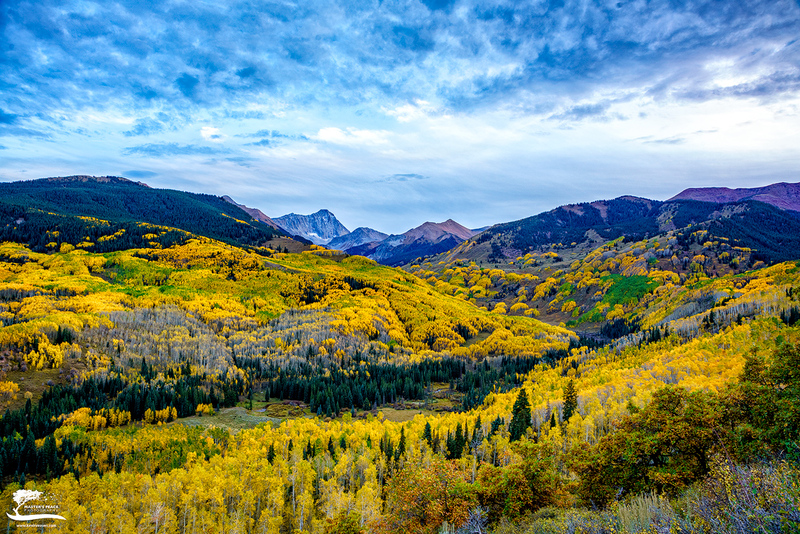 Either there is the perfect color in the trees and none to little cloud cover with no color in them, or the clouds are perfect but I am either early or late on the changing of the aspens. It is one of my favorite places to shoot sunset, but maybe that is because I love the challenge of trying to time it just right when all of the elements come together to capture that WOW image. Until next year! Photo © copyright by Kevin Reaves.